Much of the empirical research that touches on wildlife crime has originated from conservation biology—not surprisingly, as this area of inquiry pertains to species populations and protected area management. However, crime scientists are seeking a more substantial role in conservation. 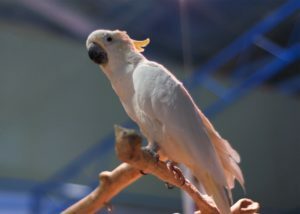 In a review recently published in Crime Science, Justin Kurland from the University of Waikato and colleagues considered the following: if various forms of wildlife crime are concentrated like traditional crime categories, then strategies adopted for crime prevention may be effective at preventing particular types of wildlife crime. The criminology of place research has found that crime typically concentrates in a small number of places, or crime ‘hotspots.’ Crime also concentrates among other units of analysis, including victims, routes, facilities, products and time. This empirical base suggests underlying reasons for why crime clusters in a variety of ways, while offering spatially explicit preventive interventions that seek to mitigate future crime. The authors found evidence that various forms of wildlife crime concentrate in space, time, among products, routes, and at particular facilities. In the case of wildlife crime, ‘products’ refer to animals, plants, or their constituent parts. For example, studies conducted in 2007 and 2008 applied innovative DNA assignment methods to large seizures of ivory en route to Asia in order to identify the geographic origins of elephant poaching. Results indicated that seized ivory emanated from specific areas in Africa, leading the researchers to conclude that elephant poaching is spatially concentrated. Similarly, another study found only a few sub-Saharan African countries accounted for a disproportionately high number of elephant losses between 1979 and 2007. In Kruger National Park, South Africa, 90 per cent of all rhino poaching incidents occurred within 2.5km of a road. Similar recurrent temporal patterns were also identified, across seasons and during the day, for both parrot and deer poaching. Findings from several studies conducted on the illicit trade of wildlife and wildlife products suggest that a small number of export countries account for the majority of wildlife seizures entering the U.S., that a small number of entry points seize a disproportionate amount of wildlife contraband, and are temporally concentrated with significantly more seizures occurring at particular times of the year. Protected areas have had some degree of success by increasing the effort and by removing excuses. More specifically, poaching can be more difficult by controlling access to, and screening exits from, protected areas as well as by deflecting offenders through the use of physical barriers such as electrified fencing. Excuses are removed through setting rules, informing local people and assisting compliance by improving the livelihood of local communities. Findings from the literature suggest that the combination of these two is optimal for the prevention of poaching. In addition, there have been a number of cash rewards systems for patrol rangers that aspire to increase patrol effort through monetary incentives, which in turn should increase risk for poachers who will be more likely to meet capable guardians in time and space. The creation of fenced enclosures and the strategic placement of fence barriers are meant to reduce provocations between animals and neighboring communities. This is commonly referred to as ‘human-animal’ conflict in the conservation literature and this measure attempts to decrease the likelihood of retaliatory killing, which typically occurs when wildlife destroy crops, consume livestock, or kill people. Typically, wire, chain-link, or electrified fences are used, especially with elephants, to prevent this particular brand of wildlife crime. Further studies have found that in addition to reducing retaliatory killings of lions in Africa, the fences provide a better environment for lion population growth and poaching. For example, findings indicate fenced areas hold African lion populations significantly closer to their maximum population potential than unfenced areas, while populations in nearly half of the unfenced areas decreased and were projected to go extinct in the next 20-40 years. Unfortunately, the general lack of impact and outcome evaluations of programs, policies and interventions has hindered the authors’ understanding of what works, and what might work in different contexts. Authors urge for an increased collaboration between crime scientists and conservationists in the future. Whether studying tiger poaching behavior in a protected area in India or conducting a port-level analysis of wildlife contraband trafficking patterns, the authors say, evaluation needs to, and should be, integrated into the overall design of a study when prevention is the objective.